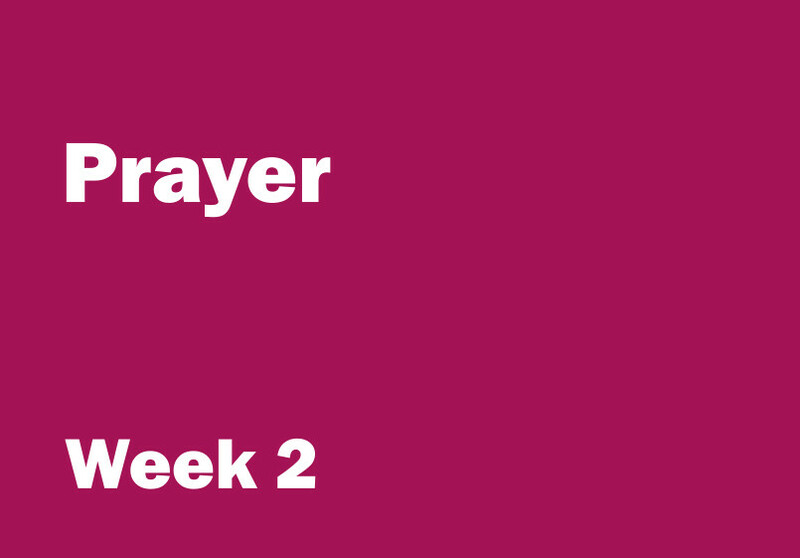 Week 2 objectives: to discover that the Bible teaches Christians to keep praying and to think about how this might be possible. Aim: to play a game that encourages the children to keep speaking without stopping. You will need: a timer that can be set to less than 60 seconds. Ask for a volunteer who is willing to speak on a subject for 30 seconds. The volunteer can choose the subject such as their favourite sport or television programme or they could talk about what they did the day before. The child must try not to stop for more than a couple of seconds and should not say ‘errr’ while they are speaking. Young children may find it difficult to speak for 30 seconds without saying ‘errr’ – you could choose not to include this rule in the game or give the children a different challenge such as blowing bubbles or hopping on one leg for 30 seconds. Older children might be happy to speak for 50 seconds or even a minute. Before the session write the verse on the sheet of paper or whiteboard. Underline the word ‘praying’. Ask the children what they think prayer is and if they are comfortable to do so, share how they pray or think they should pray. This may be a ‘recap’ for some children; for others it may be the first time they have talked about prayer. Explain that prayer is talking with God. It is a conversation. Prayer is both talking and listening to God. Underline the words ‘keep praying’. In this verse the Apostle Paul says that Christians should keep praying. But how can people keep praying? Remind the children of the game they have just played. When Paul wrote this verse he was talking about prayers that never really finish. Instead of praying for a while then stopping to do something else, Paul is talking about chatting to God through the day, a little bit now, then a little bit later, perhaps while you’re eating, a bit more while you walk home, then a bit more before you go to sleep – it’s as if the chatter or conversation never ends. Obviously Paul would have realised that people have to do other things too, he probably imagined that the conversation with God might pause while people do something else or concentrate on another job. Many Christians choose to pray like this in their heads. They say ‘thought prayers’ to God all through the day, but they still go to school or work and they still chat with other people. Explain that some people might find it difficult to pray to God in their heads and they may find it easier to whisper prayers to God. If it is appropriate you could encourage the children to try and ‘keep praying’ for the rest of the day. Every time they think about God they could say a ‘thought prayer’ to him, tell him something about their day or how they are feeling, or say ‘thank you’ for something they have seen or heard. To the tune ‘One finger, one thumb, keep moving’. Make up some simple actions to go with the song or give each child a different part to sing - as they sing their ‘part’ they should stand or spin around. You might want to find an alternative to the ‘hands-together’ action for prayer such as holding your hands out flat in front of you to help the children understand that there are many different ways to pray.